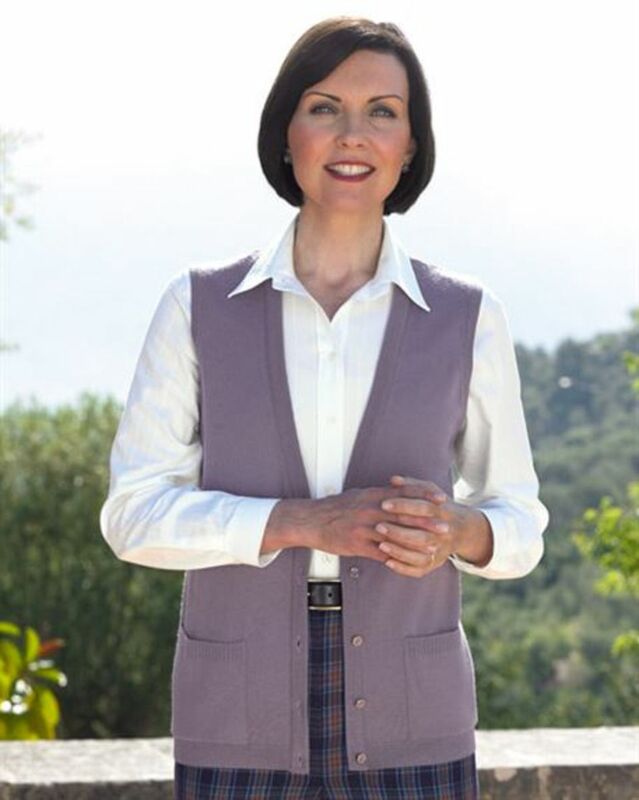 Ladies Classic Knitted waistcoat cut from supersoft, fine gauge merino wool. 'V' neck style with fully fashioned sleeve, front patch pockets and colour co-ordinated buttons. A great way to keep warm in an array of co-ordinating colours. Style with any of our seperates for an elegant look.